4:00 PM – iNSD inspiration with Cathy Zielske! Carta Bella’s Toy Box paper is so cute! Such wonderful layouts…..we truly are the winners today with all these beautiful pages to admire and a chance to win such great giveaways. Thank you SCT and all your amazing sponsors. Kathy’s layout page is so interesting. I love the white on white with pops of color. I can adapt this same design element to a card. Thanks! I love the layouts. So fun!! Thanks Lawn Fawn and Carta Bella for the chance to win an amazing prize package!! Lawn Fawn and Carta Bella are some of my faves! Such fun prizes! Thanks Lawn Fawn and Carta Bella! I could have lots of fun with these crafting goodies! Thats such a great idea for a page background! Love the cut file and both layouts. I love those pages. What a great inspiration. Thank you for the chance. Love that cut file, I’m going to have to try something like this! I love how your circle background die-cut is very subtle by mostly blending in but has dimension with the play of light on it Cathy, whereas your inspiration piece by Enza is very bold where the circles just pop off the page because of the dark background! These layouts really make me think about how I want my elements to pop or not pop on my layouts! Thanks for the inspiration! Would love, love to win the Carta Bella collection! That is so, so fun! More great layouts! This is so much fun we should have National Scrapbook WEEK! I love the colors of Enza’s page and the white-on-white of Cathy’s. Awesome inspirational pages! Thanks for the chance to win from Lawn Fawn and Carta Bella – what amazing giveaways! Happy iNSD! I could totally tell that was a CZ layout since I scrolled right past the title! 😀 I love her clean style. Great prizes this hour, too. Loving the texture and layering these layouts have! Some great ideas I plan on using. Thanks for the chance to win some awesome prizes! Both of these give-aways are wonderful. I especially like the toys. With sons that would be such a great treat to own. Thanks to these sponsor for supporting NSD. Love the white on white. I’m going to try it on pages for our wedding book. Thanks! Love your layout! Lawn Fawn is awesome! Love circle elements to a layout page….very inspiring and def creative # happy scrapbooking day ty for the giveaway prizes! Thanks Cathy for sharing your layout. I like hybrid scrapping, so I’m going to take a look on your blog for my inspiration. Great prizes once again. What a terrific way to celebrate our love of creating and memory keeping. I love the products by these two companies and find myself gravitating to the cute and versatile designs. Love this cut file! Thank you for all the inspiration! Both Cathy’s and Enzo’s layouts are amazing. Such beautiful backgrounds! Thanks for sharing them with us and thank you for the chance to win these lovely prizes. I love Lawn Fawn and Carta Bella! Thank you to both of these companies. Thanks for more good samples! More fabulous layouts! What a fun day. Love the details of this layout! Very inspiring!! I love the white-on-white too. And the little dots in the hearts. Love that! Happy NSD! Very inspiring! Thanks for the opportunity to win! WOW! Awesome! Love the colors and the design. those banner dies would be so handy to have to make cards with. Have all small boy grandbabies right now so liking that paper too. The girls are much older. Happy afternoon. Snack time and back to fun. More circles!! Love the layouts…thanks for opportunity to win. White on white is so classy! Add a little black and orange and you have perfection! Love the white on white background & how you filled in some of the spaces–great layout! Thanks for a chance at these great prizes! Amazing! Just LOVE that background! I will definitely be using that! Excellent layouts!!!! I love the cut files!!! I love the layout!!! It’s scrap time!! Love the circle layout with the hearts. Thank you sponsors for the giveaways. Ahhhh! Lawn fawn and Carta Bella! Love it! Oh happy day! Thank you to two great sponsors who are offering two great giveaways! Great layouts! Soo sweeet! I love these amazing layouts! These prizes are so awesome! Thank you Lawn Farm and Carta Bella for your generous prizes! I’m learning so much today…its been so fun and interesting. With summer sports photos coming up the circle embellishments will give me lots of inspiration! Baseball, soccer, volleyball,…….thanks for the great ideas today! If I had a machine i would be addicted to cut files…..I buy them when I can and feel they add so much to a scrapbook page. LOVE your layout and thanks for a chance to win!! The whit die cut over white background was a nice surprise! Gorgeous layouts – very inspiring! Love the styles in both these layouts! Such fabulous offerings from Lawn Fawn & Bella Carta! More fabulous circles. I love being reminded that you can make absolutely stunning layouts without so much “stuff”. Love the simplicity of this layout but it makes such a bold statement! Great job! I have lots of soccer photos that could use that layout!!!!!! Wonderful prizes from two amazing companies! Thanks! Cathy never disappoints! I love the white circles on a white background. It has been fun seeing so much creativity!! Thank you! Great day! I’m working away on my layout from the 8 am challenge! Almost ready to post! Thanks for the inspiration. Thank you for the inspiration Cathy. Always love your design guidance. Thank you SCT and sponsors for the giveaways. Loving those layouts! And those prizes! Cathy is always inspiring. Thanks for your layouts and cards! Love Lawn Fawn and Carla Bella! The white on white looks so cool. I LOVE that cut file!! Thanks for the inspiration!! Great use of cut files. I love Cathy Z’s CAS style. So classic. Love the vintage toys in that toy box collection. Beautiful layouts and wonderful prizes! Thanks for the chance to win. Awesome design! More Great inspiration! Thanks to the sponsors too! That toy box collection is to die for, I do not have enough “boy” stuff. Lovely layout! Thanks for the inspiration and prizes. Great layout Cathy. I love the white on white background. Love the circle dies in the background. I like how you filled some in with love and polka dots. So excited for these prizes! Love both layouts. The goodies are fantastic too. Love these layouts! I love incorporating cut files into almost all my projects. These are very inspiring! Great layout. I also love the subtle white die on white cs. Love it! Good boy layouts. Hard to find those. interpretation of design from one page to the other. both!!!! Thanks for a chance to win! Super awesome inspirations and giveaways! What a great and fun prize! I love using silhouette files for my backgrounds! What an awesome day its been, filled with so many grand ideas. Thanks for the great contest. Happy scrapbooking day!!! how awesome are those dinosaurs – last night my son said that we must play with them and I replied yes I must take a picture of you with your collection so that I can scrap them…thanks to the amazing sponsors for todays prize..
White on white makes an amazing layout. Love your chance to win this prize package, especially the paper to do layouts for my Grandchildren. Thanks for the opportunity for this chance. Great prize! More circle themed layouts. I love them. My first stamp set is from Lawn Fawn! Their stamps are the best and their critters are beyond adorable. Thanks for the chance! Those Lawn Fawn banners are the best! Great layout and super awesome giveaway! It’s been so much fun! Great layout and giveaway, Thanks to SCT and sponsors for a fun NSD. such a classic page – love that you used a cut file and thanks for sharing your talent with us! Awesome layout–especially with St Olaf! I’m originally from MN and know many St. Olaf grads. Great job and wonderful give away! Love the white on white in the layout. Great prizes too. Stunning page with the white on white. What a fun way to use the cut file. Love celebrating this day with everyone! Great layouts! So much inspiration from Cathy and so many great giveaways today. Fabulous new take on a fabulous layout! Awesome layout, love the circles. 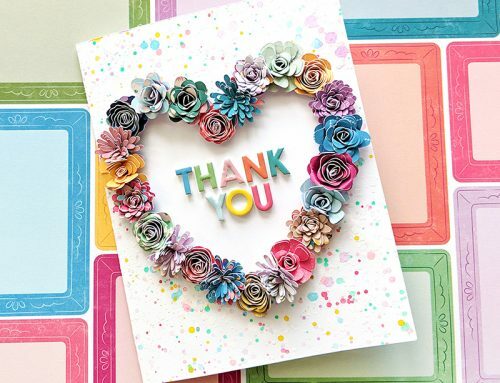 The new paper from Carta Bella is oh so adorable! Thanks for a wonderful day of inspiration! 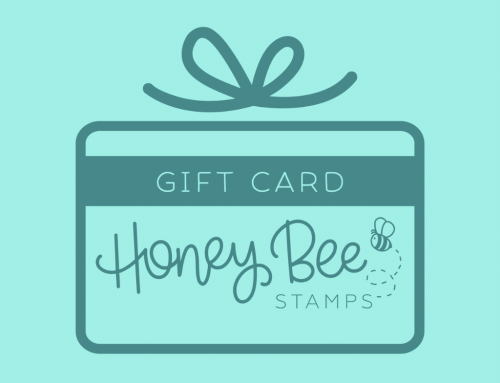 Great inspiration and prizes from Lawn Fawn and Carta Bella! ? Love the Toybox paper collection! These are both so amazing. Oooh, how cute is that Toybox paper??? Love the cut file background. LOVE circles and LOVE these interlinked circle backgrounds, rings and rings of AWESOMENESS! Cute cut file! Love your take on the inspiration piece. I like the white on white ! So elegant! Great layout! Thanks to all the sponsors!! Vortex is an incredibly beautiful layout! Great prize package too! Love the stitched Hello and Thanks! Fingers crossed ? TFS! Love the way you use circles in your designs. They’re gorgeous! Wish I had the ability to use these awesome cut filed. The layouts are just amazing. Thanks for a chance to win. Cathy always brings her a game to any look. Love the diecut so used on these backgrounds! Oh I like that cut file! And the black heart with the gold Doodlebug Sprinkles…..divine! Gorgeous layouts. The cut file backgrounds create such wonderful elements. Thanks for sharing this inspiration with us! I am on a spending freeze but have been admiring Carta Bella’s Toy Box Collection from afar!! I love this giveaway! Also, Cathy is a genius, I love her classic clean style! Love your page Cathy! I’ve always admired her clean and simple style. And I totally love the prizes for this hour. I have a soft spot for Lawn Fawn and would be thrilled to add more of their products to my existing Lawn Fawn stash! How fabulous! I love these layouts and such wonderful use of color and design. Such an eye for detail! Thanks for sharing your inspiring works of art with us! Love the inlay of the background paper in the negative spaces! Amazing how the cutesy look of the inspiration piece became all grown up with just a couple changes. Great job!!! Love your take on the inspiration layout. Great to see other ways to use circles. I’ve been in love with this paper collection since I first saw it! The papers are so gorgeous. Love Cathy’s take on Enza’s wonderful page. Fabulous prizes too! Neat layout! I love how versatile cut file backgrounds can be. Thank you Carta Bella & Lawn Fawn for the awesome prize opportunity! Love the layouts! Thanks for the inspiration SCT! Love you layout. I went to your video and it was fabulous! Thanks! Thanks to Lawn Fawn & Carta Bella! 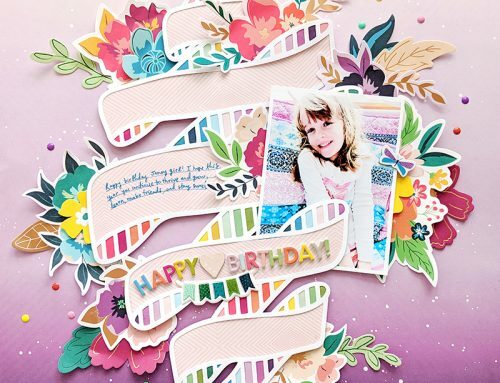 Both layouts are lovely – great cut file, which allows all sorts of embellishment! Thank you SCT and your sponsors for these awesome giveaways! Wow! Stunnig projects!!! Amazing Sponsors!!! Great layouts and the cut file circles laid on top of the paper does add so much to the page! Cathy I’ve been loving seeing your cards but so pleased to see a new layout too. Your work is always gorgeous! Love the crisp clean layout. Thanks for the chance to win. I have that cut file! Now I have more ideas for how to use it! Thank you. Beautiful layouts and great prizes! Great layouts and cards! Awesome event! Great prizes! What great ideals. Love the banner dies and stamps so great for cards. Thanks SCT. Simple but stunning! Thanks for the chance to win great prizes too! Thank you for the opportunity to win these great supplies! The cut files are so awesome. Now, I need a machine to be able to use them! Such fun layouts, thanks for the inspiration!! Cool layout! More fab sponsors and prizes! Great layouts! And I am super excited about the Lawn Fawn prize! Love it!!! Love your page Cathy!!! I’m going to try that! Thank you for the ideas and the great gifts. Obsessed with the Toy collection, obsessed!!! Oooh that cut file is fab on the layouts–adding great texture without distracting from the design. Wonderful inspirations! Lovely prizes. That Toy Box line is awesome! So many wonderful sponsors!! oooh, I love that white-on-white interpretation!! Fantastic. Thank you for the giveaways, Lawn Fawn and Carta Bella! WHat gorgeous inspiration and I Love the prizes some of my favorite companies! Thank you for the chance! Love the white on white with just some color- will have to remember to try this! Great page Cathy! I love the little pops of orange in the circles. I’m starting to think that I need to invest in an e-cutter so that I can make some fun elements for my pages! Love the cut file. Both layouts are gorgeous. I like the circles on these layouts. I am just starting to get into big cut files for my layouts so I really love this! TFS! Thank you for a chance to win yet anoether fantastic prize. Great prizes! Thank you for sponsoring the giveaway and for the chance to win! ooo different inspiration fpr different documentation! Beautiful layouts! I never thought of popping up the top layer of the same color. What a great technique! Gorgeous layout – I really like this circle design! Both pages are so different – I am loving the inspiration here! 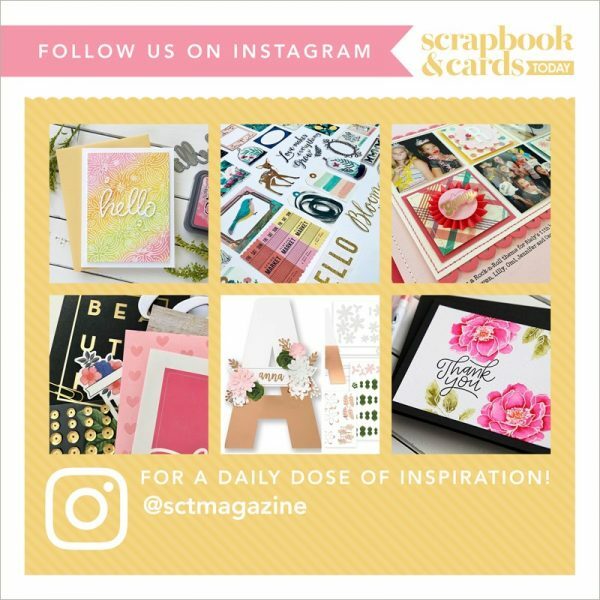 Happy (inter)National Scrapbooking Day! Lovin’ me some circles! Thanks for all the fun! love white cut files on a white background – these ones are amazing! Nice clean layout. The orange really pops. Love Lawn Fawn & Carta Bella! fun cut file on the layout! Oh, I need to dust off my Cameo. Fabulous layout! Can always use more lawn fawn and paper- thanks for the wonderful prizes. I really like Cathy’s highlighting the negative space of the cut files – really brings interest to the layout. Wow, what fun layouts! I love the backgrounds and layering. Thanks for the inspiration and giveaways. The cut circles are great! Love the Toy Box line! Beautiful layouts and fabulous prize package! Lawn Fawn and Carta Bella are a couple of my faves! I love Lawn Fawn and Carta Bella! These absolutely have to be in my stash. So cute! Your prizes are always the best. Love the idea of a white cut file on white background. Looks very clean. Thank you to Lawn Fawn and Carta Bella for the prizes. These pages are absolutely gorgeous!! I love the white with orange layout. for the chance to win!!!!!!!!! the background cut at angles. Putting that circle diecut over the triangle bg is a really cool idea. Tfs. Toy Box would be perfect for scrapping my 5 dgs’s aged 5 and under! Awesome layouts…LOVE the circle background. Amazing pages….thank you for the inspiration AND the chance to win another fabulous prize. iNSD has been a great one so far, the giveaways have been amazing, and this hour is no different!! Love the layout! The white adds so much texture. Thanks for the inspiration, and thanks for the chance to win. We love Lawn Fawn. Thanks to the great sponsors. Love the inspiration and the giveaways! Thanks for the chance! Thanks to Lawn Fawn and Carta Bella! So excited! Thank you for the opportunity to win! Amazing layout! Would never think to layer white on white but now… what a great idea and can’t wait to try it! Thanks for all the inspiration and chance to win! Wow again love the circles. Great inspiration and great prizes! I’d love to get my hands on the dinosaur paper from the Toybox collection since my 10 year old daughter recently had a dinosaur themed birthday party! Like the difference in the layouts, with still using the same element. Thanks for the opportunity to win such awesome prizes! Amazing time! & So much NSD fun and awesome giveaways. Thanks so much! Gorgeous white on white … magnificent circles again and I like to work with tone on tone colours so the white on white is fabulous. I’d love to have your job! Scrapbooking, yay!!! Love the cut files on a layout. Love the graphic impact of the cutfile! Thank you. Such a great layout…the cut files really make an impact on these pages. Great inspiration and tips!! Thanks so much for all of the chances to win. That Toy Box collection is simply wonderful! I would love to scrapbook my son’s photos with paper that cool. Beautiful – love the white on white texture and pops of bright colour! Those banners would be great! Such a very cool layout. I love the white on white tip! Such fun and useful products. Love! Beautiful balanced page, I am a huge fan of this clean graphic style. Great prizes too! Thank you SCT, Lawn Fawn and Carta Bella for your generosity and making this all possible. Love the white on white design! 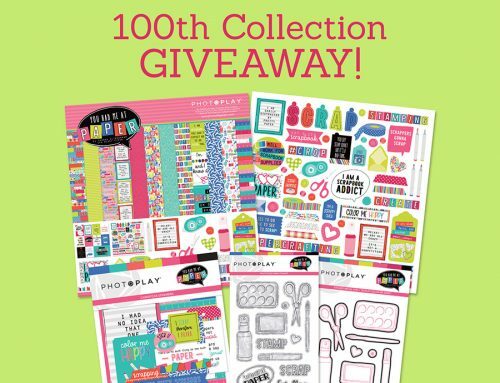 What a fun set of prizes – would like to try stitching on cards and a predesigned die cut would make it look so much neater that I would do on my own! awesome layout ideas! thanks for the chance to win! You rocked the cut files! Great prizes. Love the paper – takes me way back. Totally agree, adding texture with a tone-on-tone cut file background is a wonderful design element. Love the white circle background. Great movement without distraction. Love the die cut on the layout! I will have to try that! Love Lawn Fawn and these are some of their productstuff on my wishlist. Thanks for the chance to win them and papers from Carta Bella. All of these layouts are inspiring me to pull out my supplies and photos and get to work! I love the ideas and prizes. My scrapbooking has fallen by the wayside in the past year but I am feeling like jumping right back in after seeing these lovely layouts. The toybox collection looks like my toybox as a kid. Fun stuff!!! Love the orange piece peeking through! Such great display of brilliant use of the diecut on layout! Love the die cut background! Cathy always has such neat ideas! Love the layout! What a perfect combo…Lawn Fawn die and Carta Bella Vintage card stock pack…Delicious! love all the inspiration I got each hour and this hour is right at the top. Great prizes and thanks for the chance to win. Two beautiful pages using those cut files! Thanks for the chance! I ave a Silhouette Cameo…I really should try some cut files on my layouts. I’m so amazed at all the fantastic giveaways! It is amazing how different the same cut file can look on two different layouts. I love the way both the layouts turned out. I have to say I am also addicted to cut files on my layouts. Also Lawn Fawn is my favourite stamp company, their images are just too cute! Love all of the colors. Nice layout, too. Loving the circles on these layouts. The Toybox by Carta Bella would suit my boys. Thanks for the chance to win. In handy when I can’t do ONE MORE soccer lay out!! Great cut file – and I love the white of your layout with just pops of colour, the photo is clearly the focus! Great page! Great use of the cut file with two very different looks! Thanks for sharing and for the chance to win. The Toy Box collection is on my wishlist! Super example of how a design can be interpreted in one’s own style. Super prizes today as well. Lawn Fawn is one of my go to companies for stamps. I really like the look of the circle file background. Cathy Zielske is one of my favorite designers. Thank you for the chance to win these great prizes from Lawn Fawn and Carta Bella! Love the circles on the layout and the great prizes! I love Lawn Fawn!!! Super cute prizes on this post !! Love Lawn Fawn and Carta Bella! I have 4 grandsons so I would definitely use that prize package. Love it. Lovely pages. When I see pages like that I wish that I had a better electronic die cutter. lovely layout! the cut file is awesome. Thank you so much for the inspiration and the opportunity to win! Thank you Lawn Fawn and Carta Bella – very generous giveaway! Beautiful layout- not sure I could do anything close to that but it is beautiful! Happy iNSD – thank you SCT! Thank you for the inspiration, I love those layouts! Amazing prizes too, love Lawn Fawn and Carta Bella! Recently purchased a Silhouette Cameo and loving the cut files – great layout! Simple as always Cathy, but I love it! I could easily see both of these pages in my scrapbook. What a fun day! Thank you! So many great ideas for circles today. Love the prizes. Thanks for sharing some beautiful layouts! Love the white on white! Thanks for the inspiration!